I’ve always had pretty fun part time jobs and one of my first was as a delivery driver while I was in high school. I basically got paid to drive around greater Chicagoland, listen to music and smoke cigarettes, perfect for a budding music junkie like me. One Sunday morning, I stopped by my pal Jeff’s house before heading out on one of my routes. He gave me a cassette of Lloyd Cole & The Commotions’ “Rattlesnakes”, it was a game-changer. 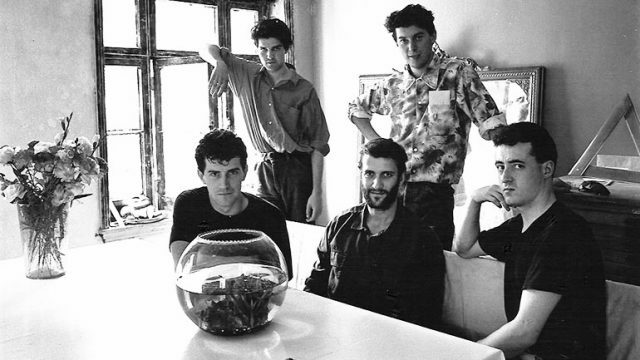 It began my lifelong fandom of Lloyd Cole, which continues to this day. 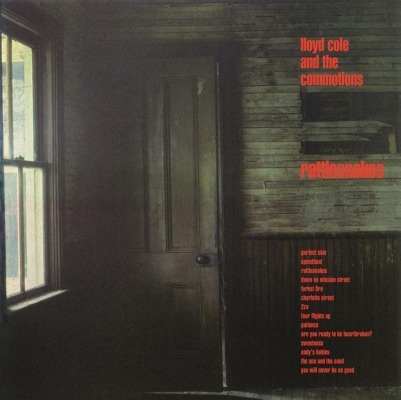 Lloyd Cole & The Commotions’ ‘Rattlesnakes’ was one of the most impressive debut albums to come out of the UK in the 1980s. While American lyricists sang about Jack & Diane, lucky stars and girls who just want to have fun, Lloyd Cole was coolly namedropping obscure, intellectual icons. Eva Marie Saint, Simone de Beauvoir, and Norman Mailer all make completely unnecessary, yet evocative appearances in the lyrics. The album deftly captures the voice of an affected twentysomething—but in a way that’s charming instead of pretentious. Who wouldn’t like to be taken ‘back to a basement flat’ by someone who asks how to spell ‘audaciously’ (“Charlotte Street”) and Mr. Cole subtly reminds us of the appeal of a trashy whirlwind romance (“Forest Fire”). While Cole’s clever lyrics are at the forefront, don’t overlook The Commotions. Guitarist Neil Clark manages to pull off the best one-note guitar solo this side of Neil Young’s “Cinnamon Girl” (“Perfect Skin”) and underscores Cole’s vocals throughout. Drummer Steven Irvine keeps the rhythm taut and Blair Cowan’s expressive keyboard work adds nice color, especially the accordion (“Are You Ready to be Heartbroken”). Finally, producer Paul Hardiman augments the record with tasteful strings in all the right places, giving each song its own personality. Hardiman was chosen primarily for his work on The The’s ‘Soul Mining’ which I recently reviewed here for this series. ‘Rattlesnakes’ is a brilliant record—and that it’s a debut makes it all the more impressive. This is a great place to start with LC&C, but be sure to have Wikipedia at hand to catch all the cultural nuances. Thirty plus years later, the album still holds its luster and that Lloyd still writes precise and wonderfully wordy character studies with aplomb shows that critics were wise to laud this debut back then.